OWENSBORO, KY – There’s nothing like a power outage to make you feel, well, powerless. Once you’ve listened to the power company’s recorded message for the third time (they’re aware of the situation and are working diligently to resolve it), there isn’t a lot to do besides wait. A two-week supply of nonperishable food and water, a gallon per person per day. A flashlight, a battery-powered or hand-cranked radio and extra batteries. A first-aid kit and a seven-day supply of medications. Food, water and medications for your pets. Copies of personal documents and family and emergency contact information. Turn off and unplug sensitive electronics during the outage. Turn off or disconnect appliances or equipment that were in use when the power went out. Leave a single light on to signal when the power is restored. 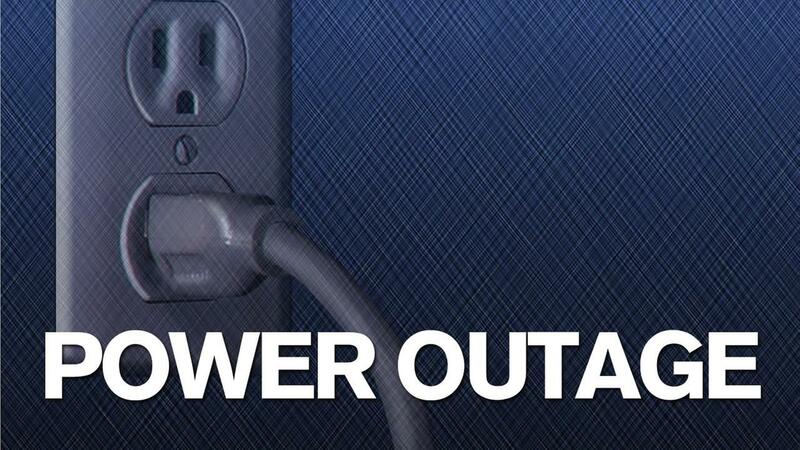 If the power is out for less than four hours, food in the refrigerator and freezer will likely be safe to consume. While the power is out, keep refrigerator and freezer doors closed as much as possible. Keep in mind that a half-full freezer will likely hold food safely for up to 24 hours and a full freezer up to 48 hours, according to the Centers for Disease Control and Prevention (CDC). Pack milk, meat, fish and eggs from the refrigerator into a cooler with ice. Test food temperature before you cook or eat anything. Discard any food with a temperature above 40 degrees Fahrenheit, says the CDC, or any items you’re simply unsure of. Extended outages can mean water purification systems aren’t functioning fully. Check with your state, local or tribal health departments. You may need to turn to bottled, boiled or treated water. If you use bottled water, be sure it came from a safe source. If you’re unsure, boil or treat it. If practical, the CDC recommends boiling as the preferred way to kill bacteria and parasites. Bring water to a rolling boil for one minute. If boiling is not possible, the CDC recommends treating water with unscented chlorine bleach (1/8 teaspoon per gallon of clear water or 1/4 teaspoon per gallon of cloudy water and let stand for 30 minutes or longer) or with iodine or chlorine dioxide tablets (follow manufacturer’s instructions). Be sure to use extreme caution when treating water. Never use a generator, a grill or any other gasoline, propane, natural gas or charcoal-burning device inside a home, garage, basement, crawlspace or any partially enclosed area. Keep them outside in an open space and position them away from doors, windows and vents that could allow carbon monoxide to come indoors. Drink at least a gallon of water a day, and avoid alcohol and caffeine. Take frequent cool showers or baths, if your water is safe to use. Wear layers of clothing and a hat to help hold in body heat. Keep moving to raise body temperature. Pile on the blankets when you’re not moving. Staying indoors during a power outage, especially at night, is wise. Outdoors, you may encounter downed power lines, fallen trees and other circumstances that can make getting around difficult and dangerous. Also, be more conscious of locking your doors and ground-floor windows, as your security system may also be out. Try to stay off the road during a power outage. Stop lights may be out, you may encounter storm debris in the road and, if you get into trouble, emergency personnel may be slower to respond. It is important, however, to know how to operate your automatic garage door without power, just in case you need to leave your home and seek emergency shelter. Also smart? Making a point to always keep your car’s gas tank at least half-full. Of course, we hope you don’t have to take any of these more extreme measures to stay safe in a power outage. With a little preparation before an outage occurs and a level head when it does, you and your family can support one another until the power hums to life again. When inclement weather is on the horizon, a power outage may be, too. Learn about the different types of emergency alerts you may receive on your mobile phone. Information via SafeCo Insurance Company. ©2015 E.M. Ford & Company, LLC. All rights reserved.